We think a real passion for pets should translate into better care. Taking care of your pets means more than walking your dog or feeding your cat. It means actually helping you keep the furry members of your family healthier. Regular tooth brushing and dog oral hygiene helps to prevent not only gingivitis in dogs but also heart and kidney disease? That’s why your vet tells you every visit to brush your dog’s teeth every day! It also keeps teeth healthy, which makes for happier pets. Oh, and doggie kisses will be much more pleasant with fresh breath! 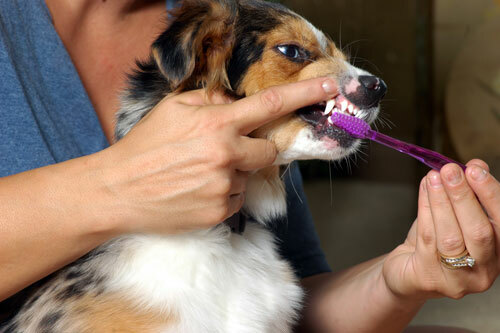 Of course brushing your dog’s teeth takes time and pets don’t always cooperate. It requires special brushes designed for dogs (no — chew toys and crunchy treats aren’t a substitute) and toothpaste manufactured specifically to meet the needs of pets. Our Pet Care Specialists are trained to brush your dog’s teeth and we stock every flavor of doggie toothpaste—from beef and chicken to peanut. We can perform the cleanings as an addition to our daily walking service. Have us brush your dog’s teeth after his or her walk for only $3.00, or have us do it every day as a part of your membership for about $2.00/brushing! 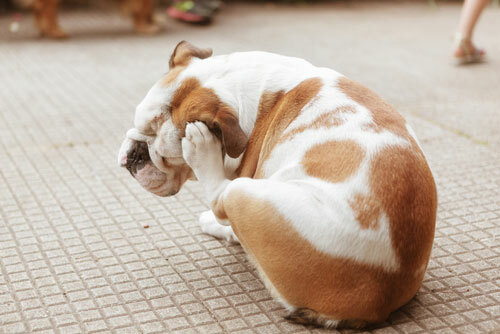 Ear infections are the leading cause of expensive vet visits — and a leading cause of pain in both dogs and cats. Most ear infections can be prevented with weekly cleanings. 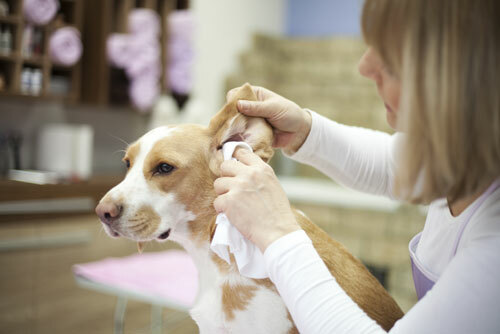 Our Pet Care Specialists are trained to gently hand-clean your pet’s ears using sterile gauze (never cotton swabs!) and ear cleaner that’s specifically formulated for your pet. We typically clean a dog or cat’s ears once per week after a routine walk or visit, extending our time to provide the additional service. Have us clean your dog or cat’s ears after his or her visit for only $4.00, or have us do it every week as a part of your membership for about $3.00/cleaning! It’s time consuming to de-shed a dog or a cat. Daily vacuuming of dog and cat fur from floors and furniture isn’t much easier. There’s a better way and we promise it will give your lint roller a break. Our Pet Care Specialists use brand grooming tools that are uniquely effective and comfortable for your pet. 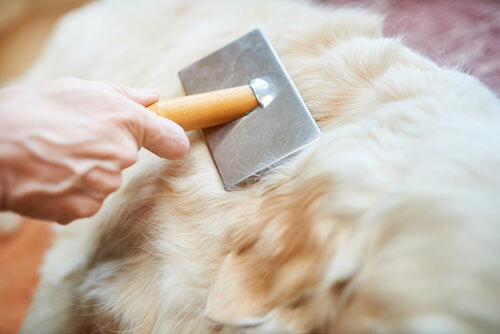 Weekly grooming will help to reduce a pet’s shedding up to 90%. Our de-shedding service takes, on average, 15 minutes a week, and having us do it means more time for you to enjoy your pets and less time spent getting rid of dog and cat hair. Let your Green Paws Pet Care Specialist spend 15 minutes de-shedding your dog or cat after your next walk or visit for only $15.00. Members can have de-shedding for 15 minutes every week to keep shedding under control for only $50.00/month. It’s time consuming to de-shed a dog or a cat. Daily vacuuming of dog and cat fur from floors and furniture isn’t much easier. There’s a better way, and we promise it will give your lint roller a break. Our Pet Care Specialists use FURminator® brand grooming tools that are uniquely effective and comfortable for your pet. Weekly grooming will help to reduce a pet’s shedding up to 90%. Our de-shedding service takes up to an hour a week, and having us do it means more time for you to enjoy your pets and less time spent getting rid of dog and cat hair. Let your Pet Care Specialist spend 15 minutes de-shedding your dog or cat after your next walk or visit for only $15. Members can have de-shedding for 15 minutes every week to keep shedding under control for only $50/month. Did you know that flea and tick protection only works if you stick to a rigorous schedule? What no one tells you is that flea and tick treatments must be applied on a strict monthly schedule. Forget just once and you run the risk of exposing your pet and family to annoying and dangerous pests. Flea and Tick Treatment packages are hard to open and messy to use and application dates are hard to remember. Let your Green Paws Pet Care Specialist apply flea and tick protection on a regular, monthly schedule to make sure your pet stays healthy. Have us apply a FrontlinePlus® or BioSPOT® treatment after your next visit for only $29.00 including the products. Better yet, have us do it every month as a part of your membership for only $25.00. Flea and Tick Treatment packages are hard to open and messy to use, and application dates are hard to remember. Let your Green Paws Chicago Pet Care Specialist apply flea and tick protection on schedule to make sure your pet stays healthy. Have us apply a FrontlinePlus® or BioSPOT® treatment after your next visit for only $29 including the products. Better yet, have us do it every month as a part of your membership for only $25.